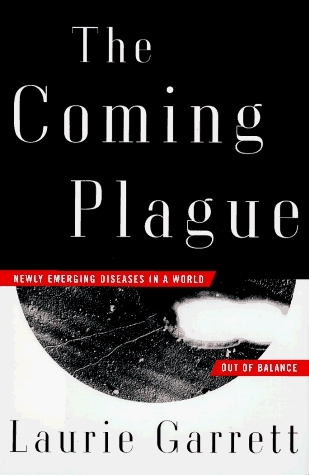 The New York Times: "A frightening vision of the future and a deeply unsettling one... a sober, scary book that not only limns the dangers posed by emerging diseases but also raises serious questions about two centuries worth of Enlightenment beliefs in science and technology and progress." Unpurified drinking water. Improper use of antibiotics. Local warfare. Massive refugee migration. Changing social and environmental conditions around the world have fostered the spread of new and potentially devastating viruses and diseases - HIV, Lassa, Ebola, and others. Laurie Garrett takes you on a fifty year journey through the world's battles with microbes and examines the worldwide conditions that have culminated in recurrent outbreaks of newly discovered diseases, epidemics of diseases migrating to new areas, and mutated old diseases that are no longer curable. She argues that it is not too late to take action to prevent the further onslaught of viruses and microbes, and offers possible solutions for a healthier future. The Boston Globe: "Like her role model Rachel Carson, whose 1962 Silent Spring woke up society to environmental poisoning, Garrett aims to dispel social and political complacency about the threat of old, new, and yet-unknown microbial catastrophes in a global ecology that links Bujumbura, Bangkok, and Boston more closely than almost anyone appreciates." San Francisco Chronicle: "Garrett's stories are enthralling, like solid war reporting. But her book also offers the clearest, most detailed, and most impeccably researched description of the science of microbiology that lay readers have had in sixty years."